North Korea is a country shrouded in secrecy. One of the most mysterious places on earth, it is also one of the most difficult to visit. It is nearly impossible for an outsider to gain entry without a hard-to-get and pricey visa but a few brave photographers have done so. Here are their haunting photos, along with descriptions of each. Childhood might just be the most innocent and happiest of times for the children of North Korea. However, this is because they are not old enough to understand the horrible conditions they are brought up in or that they are being conditioned to acknowledge their dictator as a great guy. Those who are not so fortunate to be born in Pyongyang often are subject to harsh conditions not suitable for a child. 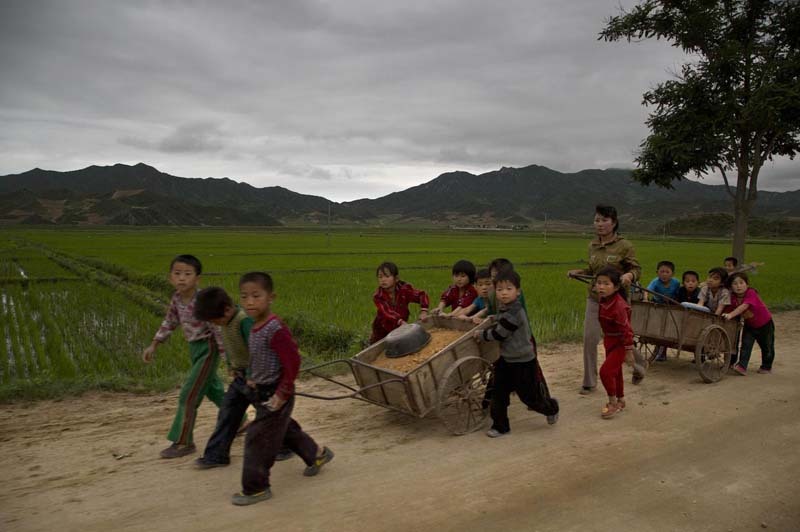 North Korea has recently come under fire for their forced labor of children, who are treated like slaves. This picture depicts school-aged children fixing potholes in the North Hamgyong province.